The week, led by Jo’s Cervical Cancer Trust, aims to protect more people against the disease by signposting all the ways to reduce the risk. 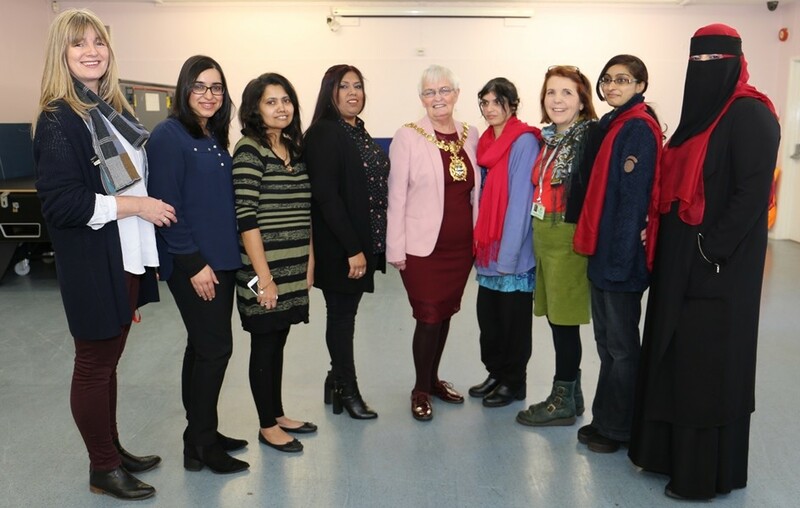 To mark support for the week in Blackburn with Darwen a photocall was held at Little Harwood Community Centre, with the Mayor of Blackburn with Darwen, councillors and local women’s groups in attendance. Cervical cancer is the most common cancer in women and people with a cervix aged 35 and under but it can be prevented. The best way to do this is to attend a smear when invited. Currently in the UK, people are eligible for a smear test from the age of 25 to 64. Those aged 25 to 49 are invited every three years and those aged 50 to 64 are invited every five years. It is also important to know the symptoms of cervical cancer and seek medical advice if experiencing any, as well as knowing where to find support. On average cervical screening helps save the lives of approximately 4,500 women in England every year. We’re committed to talking about this across the borough. We want as many people as possible to know how they can reduce their risk of the disease and be able to educate others. I understand people might have concerns about the smear test but it only takes a matter of minutes and, as with all cancers, the earlier a problem is spotted, the better the outcome. The simple fact is screening saves lives. More information about cervical screening and cervical abnormalities can be found at Jo’s Cervical Cancer Trust. If you would like to get involved in raising awareness around cancer locally, visit the Cancer Research website.